Rainbow International of Grundy County is hosting the first annual Insurance Agency Partnership Food Drive to help community members in need. BEAMAN, IA. 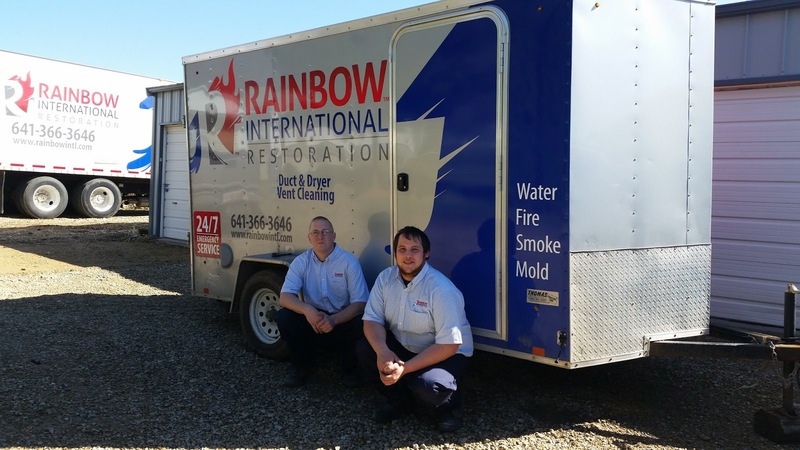 - November 23, 2015 - On Monday, Rainbow International of Grundy County and their local insurance agencies partners in Grundy, Marshall, and Tama counties start the first annual Insurance Agency Partnership Food Drive. Rainbow International is hosting the Food Drive to raise food donations for community members in need this holiday season. They have partnered with the following insurance agencies to collect food and non-perishable item donations in the community from Nov 23rd to Dec 11th 2015. Their goal is to donate over 300 lbs of food this season to the over 7,800 food insecure families located in the collection counties. All of the food collected in each county will be dispersed to county food banks such as the Grundy County Food Pantry, the Marshalltown Food Box, Albion ACTS, State Center Community Cupboard, and the Northeast, Northwest, and South Tama County Food Pantries. Please follow the guidelines listed below for item donations! "We want to give back to the community and this seemed like a FANTASTIC idea!" says Becky Posusta, BDA for Rainbow International of Grundy County. "We don't want to be just another company that is only out for themselves. From the highest levels, Rainbow International truly cares about our communities and its members and we are honored to partner with insurance agencies that feel the same." 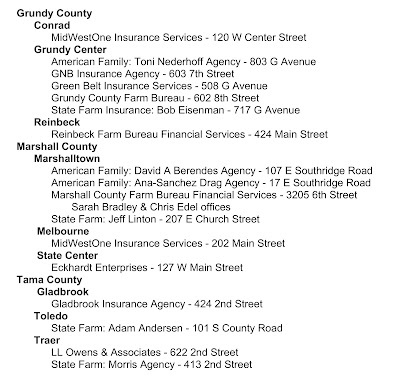 The following insurance agencies have graciously offered to collect items. Please feel free to drop off donations at any of the following insurance locations!